Six endemic species of prickly pear cacti (Opuntia) can be found in the Galapagos, some of which have multiple varieties. After reaching Galapagos, these six species rapidly diversified into 14 different varieties – an example of adaptive radiation. Tall varieties thrive on islands where there are giant tortoises, whereas on islands where tortoises are absent, shorter varieties can be found. The cacti are consumed by land iguanas, giant tortoises, doves, cactus finches and mockingbirds, as well as invasive species such as goats. They also provide important nesting habitat for bird species. 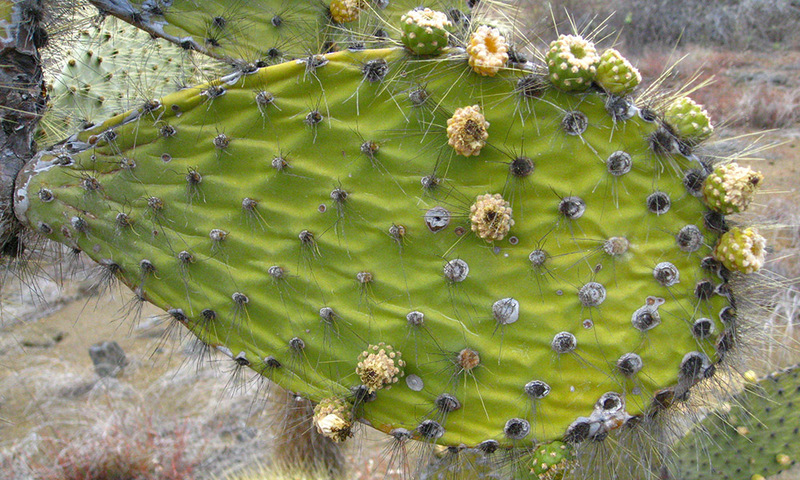 Prickly pears have thigmotactic anthers; when they are touched they curl over, depositing their pollen. This allows them to self-pollinate, so that they can reproduce even when there are no other cacti in the surrounding area. Threats: The lack of pollinators has caused the O. echios species to be registered as vulnerable. 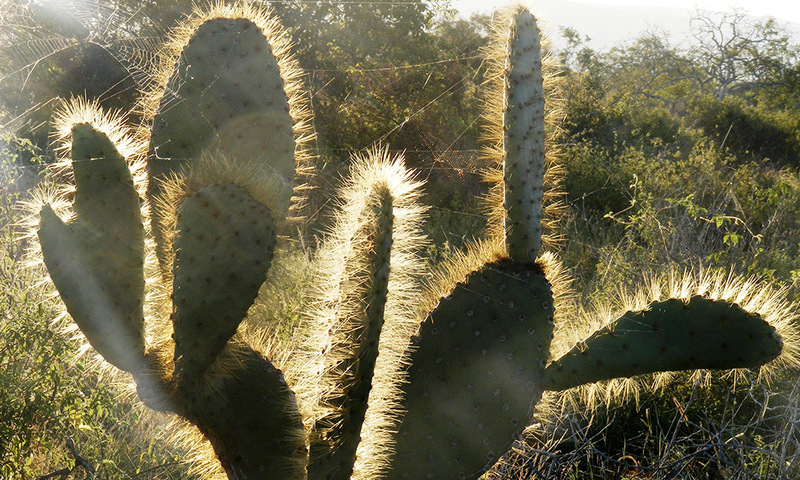 The introduction of goats and rats to the Islands also pose a threat to prickly pears, as they consume the cacti. 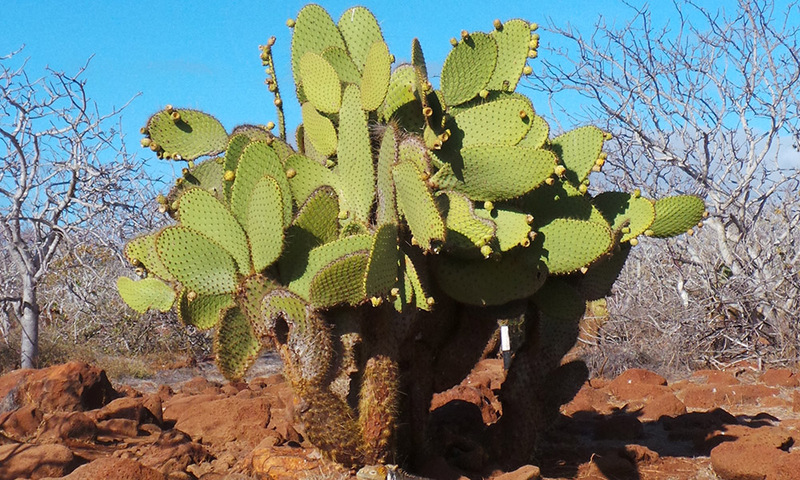 Conservation Actions: The cacti lie inside the Galapagos National Park, which covers 97% of the land area of the Islands and provides protection to the species within it. There have also been efforts to eradicate invasive species such as goats and rats. We are working with partners to restore Floreana island, including the Opuntia habitat, to its former glory. Help us to restore Floreana island by donating today! 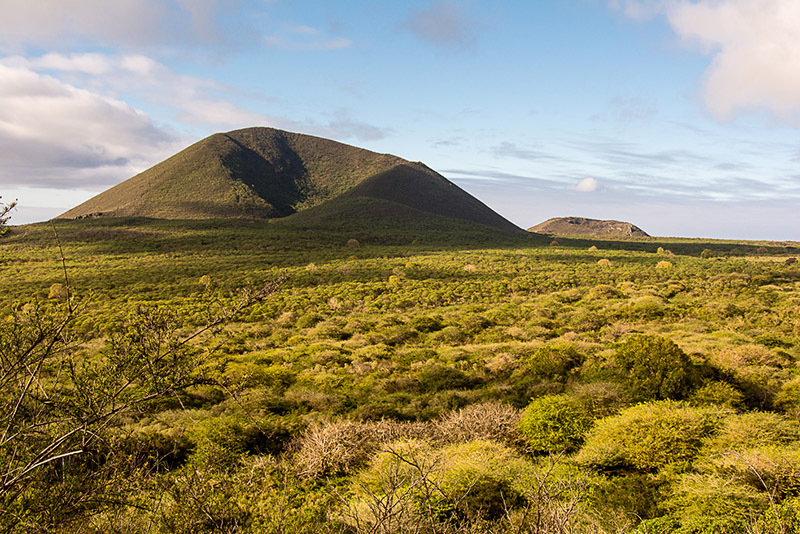 We are working with partners to restore the habitat of Floreana, in order to reintroduce locally extinct species.